Hair felt soft and clean after using this. Thumbs up! Love this product, great for natural hair. Great price too! I have relaxed afro hair and find this shampoo really great. It makes my hair feel soft afterwards, healthy (moisturised and slightly strengthened) and does not dry out my scalp. It is sulphate free (there are two versions, one does have sulphates) and so helps my hair massively not to dry out. It is also pH balanced and when used with the conditioner my hair cuticles seal and feel very smooth. I alternate this shampoo with a protein strengthening shampoo every week or so. I am a huge fan from this shampoo for over 10 years now. This shampoo did a great job when my hair was relaxed and it's much more efficient now that my hair is natural (4c texture). I can use this shampoo for wash and goes, since I'm able to detangle my hair under the shower and then finalize it with a leave in conditioner. I recommend this sulfate free shampoo for all types of hair. Really does the job. Hair is smooth and soft. Excellent value for money. I've bought about a dozen shampoos for my very curly hair/dry scalp this year, all of which I've thrown away for making my hair feel brittle and in poor condition. 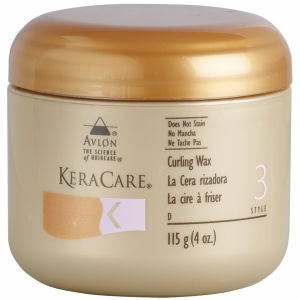 This Keracare shampoo is fantastic! My hair has never felt more soft or as detangled after shampooing...and yet it's still spotlessly clean (with 1 repeat). I would recommend all curly girls (especially with afro hair like me) give this a try. So affordable considering the results. Enjoy! Shampoo has very nice consistency and leaves hair very soft after washing, but also it makes the root area very greasy, which makes it impossible to use it as a regular shampoo.